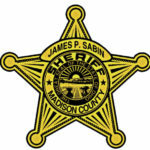 Editor’s Note: The following reports are of individuals that were in accidents and other miscellaneous reports according to the Madison County Sheriff’s office. 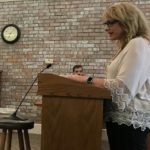 Representatives of Madison County EMD continued to argue that the City of London is ill prepared to establish and fund its own emergency squad, beginning in 2019. London Mayor Pat Closser cuts the ribbon to officially dedicate Access Cowling Friday afternoon, the all-inclusive playground project nestled in London’s Cowling Park. Closser is flanked on the corners by Amy Rees (left) and Jen Hagmeier, the two women whose vision it was to create the project. They are joined by some of their young friends. Noah’s Playground was created in memory of Noah Hagmeier who passed away tragically. 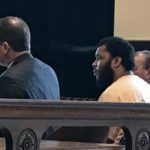 With a trial only two weeks away, attorneys for accused murderer Tevin H. Jackson are asking Madison County Common Pleas Judge Eamon Costello to throw out key evidence in the case.